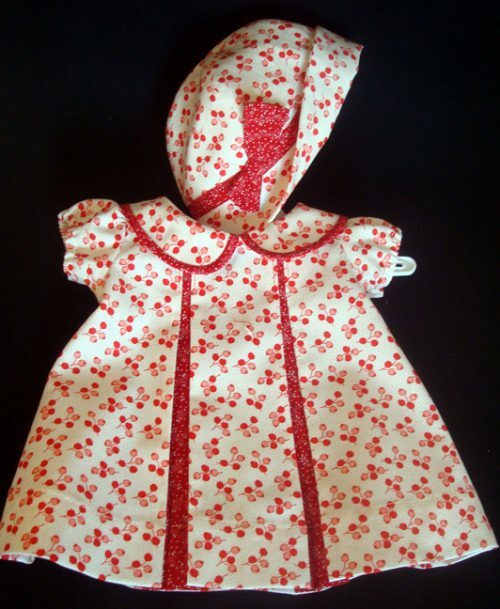 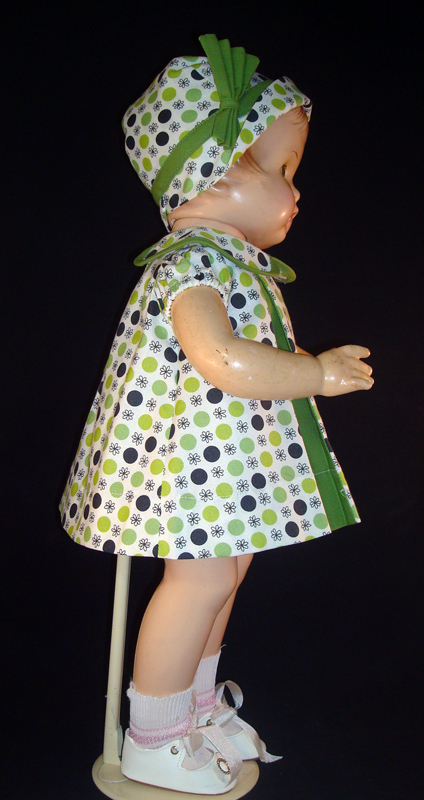 This Effanbee green pleat Patsy doll dress and cloche hat are made in a 100% cotton reproduction print. 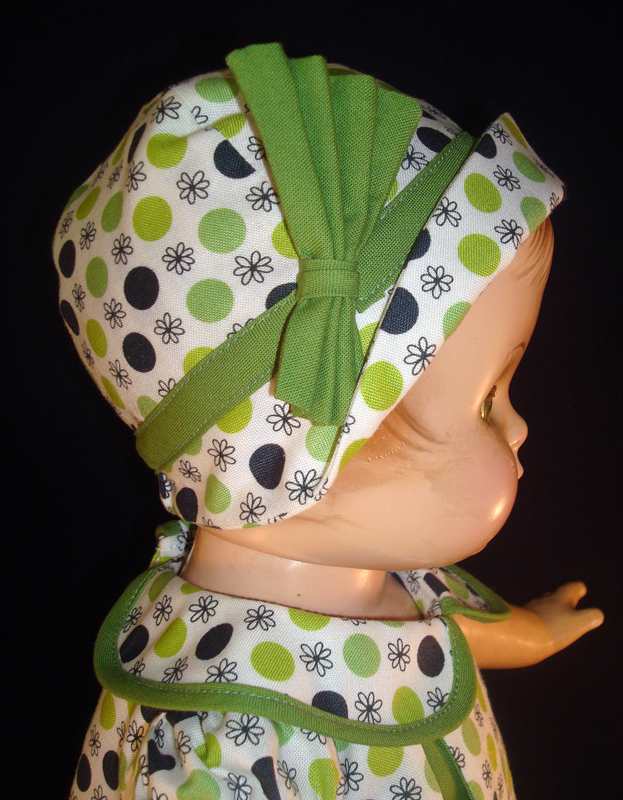 The dress closes in the back with two mother-of pearl-buttons and the cloche hat is trimmed in a saucy bow. 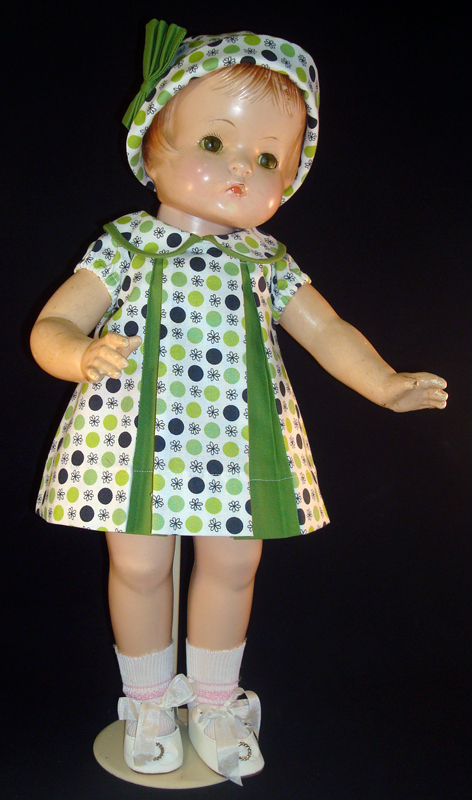 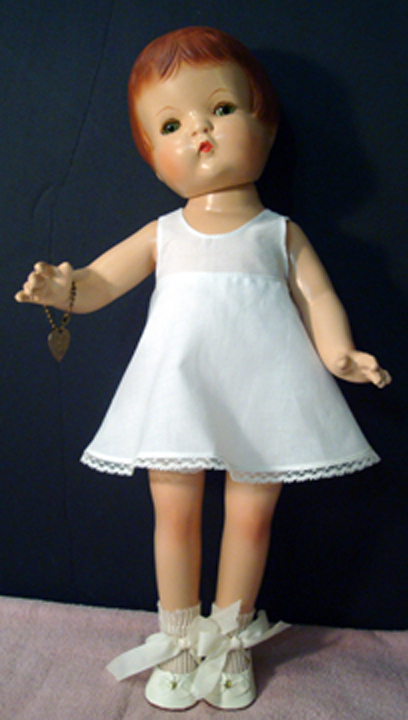 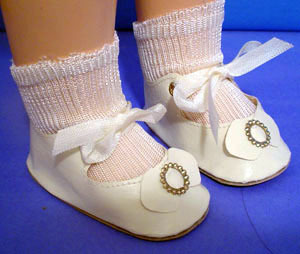 This Effanbee green pleat Patsy doll dress and cloche hat are available in several sizes for your Patsy family dolls. 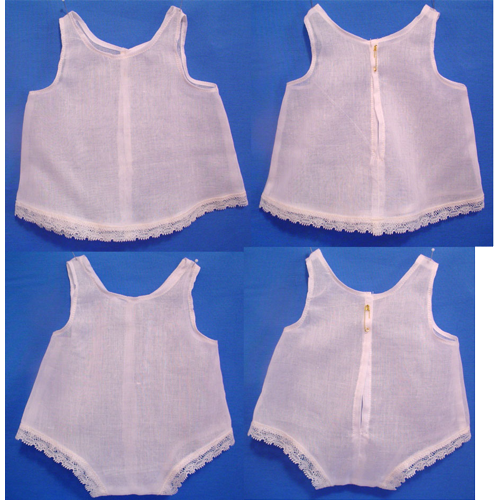 The dress is shown over combination underwear, to fill out the dress.